Transform your existing vanity top in place without demolition or removal. If you need a bathroom countertop makeover, call the experts in bathroom vanity top refinishing in Tri-Cities, TN. The local refinishers from Miraculous Makeovers are trained and experienced to tackle all of your Tri-Cities, TN cultured marble refinishing needs. Reach out to us for reliable, same day services at (423) 612-4174. Click here to access our online specials page. Ugly bathroom vanity tops are nightmares for homes and commercial buildings. Oftentimes, these are the first thing you see when entering a bathroom. To prevent ugly bathroom vanity tops, stay one step ahead by receiving bathroom vanity top refinishing. If your vanity top is outdated in your home or business call the experts at Miraculous Makeovers today! We have the skill and expertise to update cultured marble countertops no matter how big or small. Trust us to take care of your Tri-Cities, TN bathroom vanity top refinishing services and see why everyone is choosing us. Curious to see what realtors and homeowners in Tri-Cities,TN are saying about our cultured marble restoration? Find out by reading our reviews. Refinishing an Acrylic Vanity Top? Damaged acrylic vanity tops can hurt the look of a bathroom in your home or business – from chips on the surface to cracks forming around the drain area. One of the most annoying things about damaged acrylic vanity tops is the embarrassment of everyone seeing them. There is away to get rid of all of that. The reliable team at Miraculous Makeovers is here to help you solve this problem. Refinishing an acrylic vanity top will make your bathroom feel clean and give you a more modern updated look. And even better – you will no longer feel the embarrassment. Is Bathroom Vanity Top Refinishing Right For You? There are several different vanity top material types, acrylic, cultured marble, solid surface and so on. Having a certified refinisher come out to your home or business for an estimate is the best way to know what options are right for you. 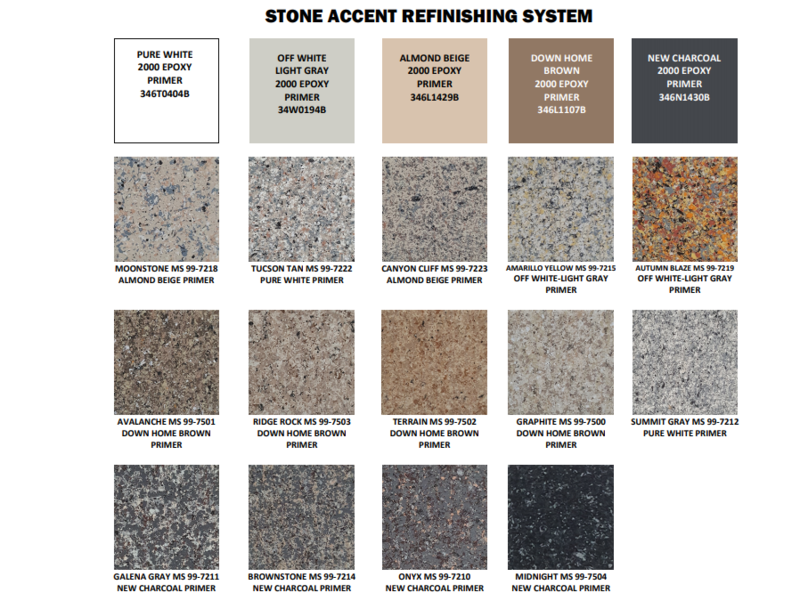 We will help you find the right solid color or stone look finish to match your existing decor. – Highly qualified and trustworthy refinishers who are all factory trained, certified, drug tested and background checked. – On-time appointments from friendly professionals who value your time and perform every job as efficiently as possible. – A fully masked worksite that leaves no mess or trace. We respect your property as if it were our own. – UPFRONT, affordable pricing so you get the quality service you need without getting blind-sided by unexpected fees. 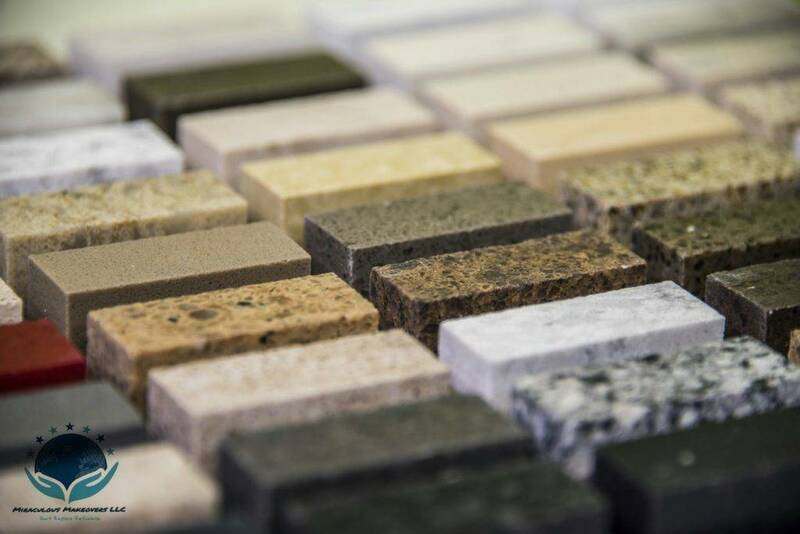 Miraculous Makeovers offers custom solutions to update cultured marble countertops at a fair and upfront price. Our experienced and certified refinishers get the job done right the first time, and try there best not to leave a mess when they leave. We believe in educating our customers about our refinishing process so you can make the best decision for you and your property. If your vanity top is in need of bathroom vanity top refinishing services, call Miraculous Makeovers at (423) 612-4174. Our years of experience and extensive training mean you can rely on us to provide quality service at a very affordable price.